Drunk driving arrests are down sharply after decades of aggressive enforcement, while drugged driving arrests are climbing. Georgia now has more than 250 officers with special 'drug recognition expert' training. But 11Alive News Chief Investigator Brendan Keefe discovered some drivers are getting arrested for driving stoned -- even when their drug tests came back clean. Katelyn Ebner was arrested after she left her job as a server at a bar in Cobb County. Officer Carroll: "Not tonight, okay. One of the things we do is we ask people to blow through this thing, okay." Katelyn Ebner crossed the center line, and got pulled over on the way home from work. She works in a bar, and does not drink while at work. No, she had not been drinking. All tests for alcohol came up empty. But the Cobb County police officer who pulled her over was not done yet. Officer Carroll: "Okay. Well, you're showing me indicators that you have been smoking marijuana, okay?" "I didn't realize that you could get arrested for something that you didn't do," Ebner told Keefe. "That never crossed my mind until it happened to me." Officer Carroll: "You're going to jail, ma'am. Okay? I don't have a magical drug test that I can give you right now." "Before you felt the handcuffs closing over your wrist, did you understand just how serious this was?" Keefe asked Ebner. "I didn't understand," Ebner said. "As soon as I took that breathalyzer, I thought I was going home." "You had to spend months -- and thousands of dollars -- proving your innocence," Keefe said. The same thing happened to college student Princess Mbamara two weeks earlier -- on Good Friday. Princess Mbamara: "Sir, hold on one second. I'm complying." "I didn't understand," Mbamara told Keefe. "I was like, 'Why are you arresting me? What did I do? I did everything. I walked the straight line, I touched my nose, I did everything you asked.' I was like, 'Why am I getting arrested?' And he said, 'DUI of a substance.' And I was like, 'What!?'" Princess Mbamara: "Sir, I don't smoke weed! Is there a way you can test me right now?" Princess Mbamara was also jailed. She fought the DUI-drug charges for half of 2016. "So the blood test comes back, and they toss the case?" Keefe asked. 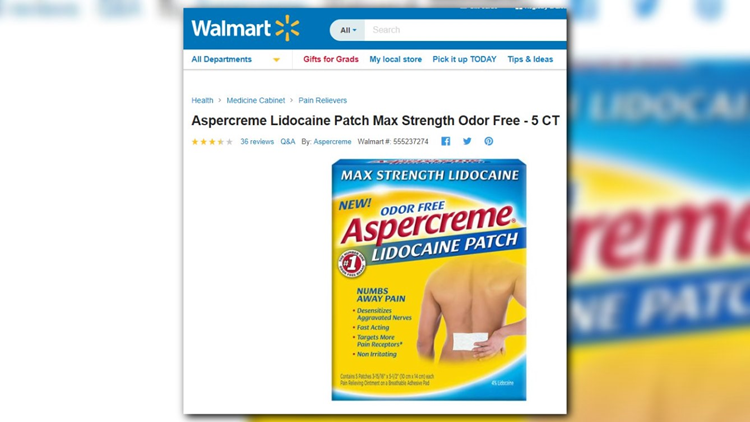 Princess Mbamara&#39;s toxicology screening only showed positive for lidocaine - an over-the-counter medication used in products like these back pain medication patches, available for less than $10 at Walmart. "I remember my lawyer trying to talk about a deal," she said. "I was like, 'I'm not taking a deal. I didn't do anything! I want more than just a deal -- I want more than just dismissal; I want my life back. Can you reverse time? If you can go back in time, then that's what I really want.'" Mbamara's toxicology screen came back and only showed positive for lidocaine -- an over-the-counter local topical anesthetic used in transdermal patches to treat back pain, insect bites and other types of pain and discomfort. Lidocaine can be found in many other anti-burn, anti-itch and pain creams, lotions and medications sold both over-the-counter and by prescription under a myriad of brand names, including Aspercreme, Icy Hot, Salonpas, Preparation H, Gold Bond, Solarcaine and others. An Auburn University student was also arrested by Officer Carroll using the same drug recognition screening protocol. After his blood and urine tests came back negative, charges were dropped by the prosecutor five months later. Officer Carroll: "How're you doing?" Auburn Student: "I'm doing great." Officer Carroll: "Okay -- Let's just walk over here for a second." ►ANOTHER INVESTIGATION: Trigger: Who shot the officer's wife? Months later, it happened again to an Auburn University student. Officer Carroll: "You're giving me indicators that you have consumed marijuana, okay? So at this time, I believe that your failure to maintain lane was the reason for that -- so you're being placed under arrest for DUI, okay?" The prosecutor filed a dismissal of the DUI-drug charge five months later: "Defendant performed well on FSEs (Field Sobriety Evaluations) and blood and urine were negative." Three DUI drug arrests -- Three clean toxicology screenings -- One police officer: Cobb County Police Officer T.T. Carroll. 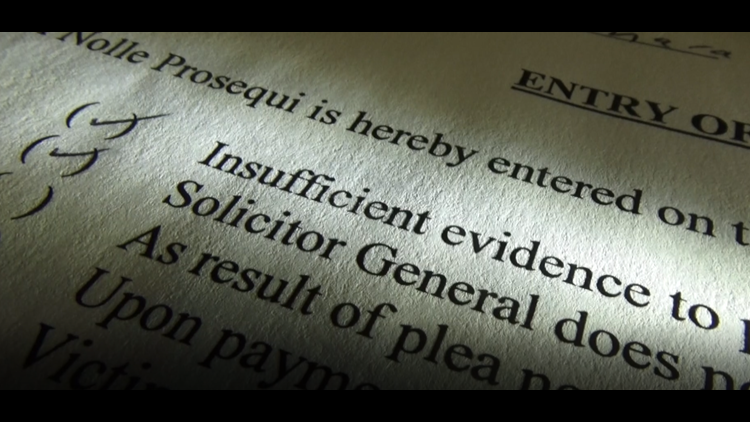 ►ANOTHER INVESTIGATION: From auction block to handcuffs: Why did a legal car auction put a couple in jail? Documents show Carroll is one of the best-trained officers on Cobb County's legendary DUI Task Force. Officer Carroll: "Well you're showing me numerous indicators." Katelyn Ebner: "I understand that. But I can 1,000 percent guarantee you that I don't do that stuff." He's a certified Drug Recognition Expert -- one of 250 Georgia officers who has gone through a month-long training course. The DRE Evaluation involves a dozen observations that allow officers not only to pronounce that a driver is on drugs, but to identify which of seven types of drugs are in their system. Princess Mbamara: "How can you look at somebody and say marijuana?" Officer Carroll: "Because of the totality of the circumstances and a lot of things -- and there are involuntary responses of the body that we can observe that have suggested impairment of marijuana, okay?" "He looked at you. He did this technique that he was taught, and he determined you were on something you weren't on," Keefe said. "Yeah, unfortunately for me," Mbamara said. Officer Carroll: "Because he's ingested marijuana -- that's what my training suggests, okay?" Officer Carroll relies on his drug recognition expert training -- but in these three dismissed cases, he did not do the full evaluation after the arrests. The standard protocol requires all 12 steps to be completed -- yet, any police officer can make a DUI-drug arrest on fewer observations. Officer Carroll: "If I establish probable cause, and I believe that based on my training, so that's why I put the handcuffs on you, okay?" Katelyn Ebner: "Sir, I can promise you, I have never -- please -- I have never smoked marijuana." Officer Carroll: "Okay. Well, ma'am, you're giving me indicators -- several, several indicators -- that you have, okay?" "But he just did the 'magical drug test' that resulted in your arrest," Keefe said. "Yes," Ebner said. "They're ruining people's lives." Katelyn Ebner filed an Internal Affairs complaint against Officer Carroll. "When you brought up that you had a clean blood test when complaining to Internal Affairs, their answer was what?" Keefe asked. "They said, 'Yeah, we see this happen all the time. Um, the test results come back wrong all the time,'" she said. "So the test results were wrong?" Keefe asked. "Yeah, that's what they said," Ebner replied. "The test results were wrong, and also, if I had a urine test, it would have come back positive for drugs." But Ebner got her own urine test the same week as her arrest -- scanning for any metabolites that would still be in her system. The urine test was also negative for marijuana -- or other drugs. "This training is so powerful, that they believe they can detect drugs that a blood test will not detect," Keefe said. "Is that surprising to you?" "That's extremely surprising," Princess Mbamara replied. "That's extremely surprising -- because this is my life that they're playing with." 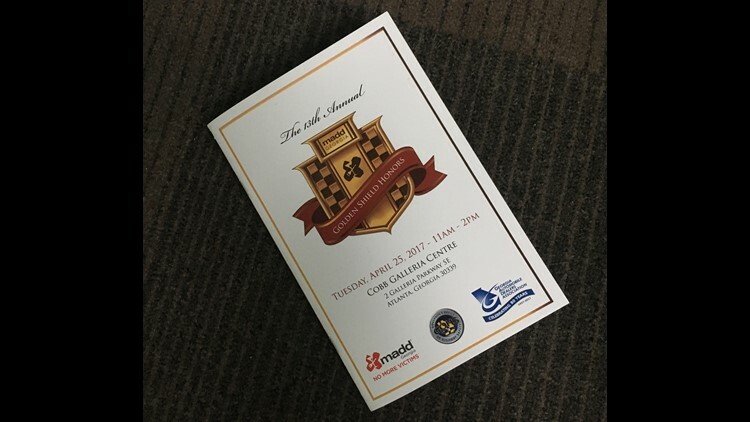 In April 2017, Cobb County's DUI Task Force was awarded a trophy by Mothers Against Drunk Driving, and Officer Carroll was given a Silver Medal for 90 DUI arrests during 2016. "He's getting an award for just arrests," Mbamara said. "Not even convictions. Arrests." "And you were one of them," Keefe said. "And I'm one of these arrests," Mbamara said. "So this guy is just stacking up on awards and trophies. On ruining people's lives." "He's getting praised for arresting innocent people," Katelyn Ebner said. "I'm not saying all those people he arrested were innocent, but at least three of them were, and no one is doing anything about it." "It's something that I'm going to have to carry for the rest of my life," Mbamara said. Officer Carroll received a promotion and a merit raise after a 2016 employment evaluation -- which also noted most of his DUI arrests end in convictions or pleas. Supervisors call him the department's "go-to officer when it comes to DUI-drugs." He got top marks for making the correct arrest-no arrest decision on impaired drivers. There's no mention of the three drivers who had their DUI charges thrown out because of negative lab tests. What is the Cobb County Police Department saying about all of this? Commanders would not let Officer Carroll talk with us, but they stand behind the arrests. The department doubled-down on their assertion that the drug recognition expert is better at detecting marijuana in a driver than scientific tests. The Cobb County Police Department says the GBI Crime Lab reports negative when even trace amounts of marijuana are detected. A Georgia father nearly lost custody of his two young kids because of a DUI arrest – but he didn’t have a drop to drink. A single over-the-counter allergy pill left that father fighting to save his family. “I’m gonna pull him out and check his sobriety,” a police officer says, talking about a man he has pulled over. 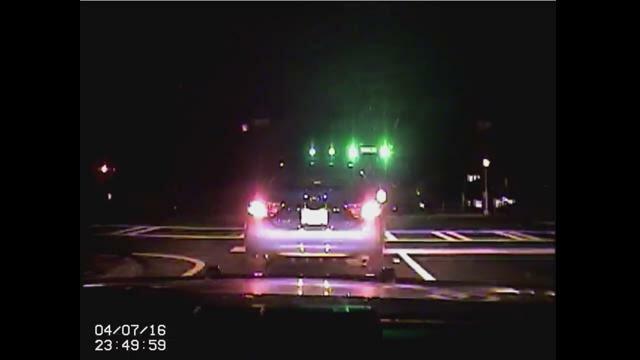 The officer has a man pulled over on the side of a dark road for speeding -- the man was driving a minivan at 50 mph in a 35 mph zone in Garden City, Ga., a small community in southeast Georgia just outside Savannah. The 11Alive Investigators later discovered through a combination of checking police department records and independent geographic measurement that the initial reason for the traffic stop itself was accurate. The minivan was, indeed, being driven 15 mph over the posted speed limit for that stretch of road. “Are you on any medication, or taking any medication for anything?” the officer asks the man. “None at all?” the officer asked. “Have you had anything to drink tonight?” the officer asked him. “Nothing at all,” he answered. A college professor – being arrested for DUI in front of his son and daughter. “How old are your children?” the officer asked. “Twelve and ten,” the man replied. 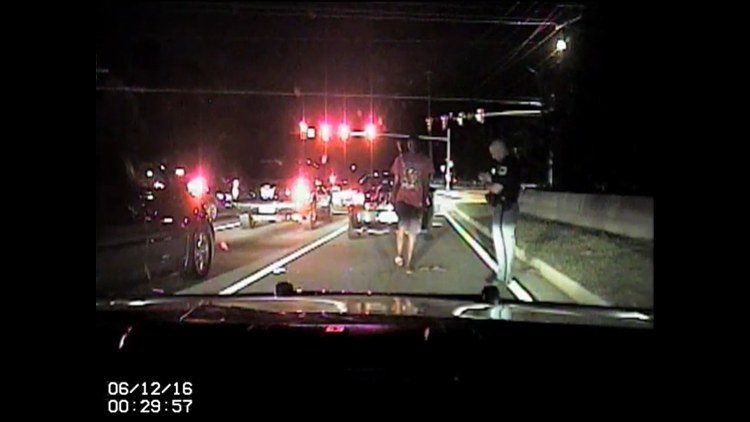 Back on the dashcam, the officer can be seen putting handcuffs on the driver. “I’m placing you under arrest for suspicion of DUI-Less-Safe, drugs – Okay?” the officer said. Later, the college professor spoke with 11Alive Chief Investigator Brendan Keefe. The professor is still so traumatized by the incident, he does not want us to use his name. Garden City Police charged the father with DUI-Drugs, and with two counts of child endangerment – because his kids were in the back seat. Two convictions for child endangerment would have been – you don’t see your kids. They either go to your ex-wife or foster care? “Your husband has been placed under arrest for suspicion of DUI-Drugs,” the officer can be heard telling the professor’s ex-wife on the phone. “What! ?” she’s heard saying incredulously. “Even my ex said, ‘I know that he wasn’t doing anything to endanger the kids, and know that he doesn’t do drugs or anything like that,’” he said. “Ex-wife, yes,” she said as she got out of her car. “He’s going to be under arrest for DUI, okay?” the officer said. “But—but he doesn’t drink,” she said, still clearly aghast by the officer’s assertion. “For medication,” the officer said. 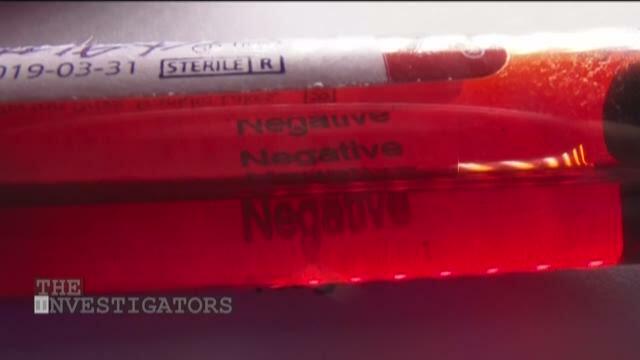 The blood test came back positive for one drug: Tylenol PM. Specifically, diphenhydramine – the active ingredient in Tylenol PM and the allergy medicine Benadryl. Either of these over-the-counter medications can impair a driver worse than alcohol – but only for four to six hours after taking one. Indeed – the GBI Crime Lab detected the Benadryl in such a small amount, it was consistent with a single dose taken a full day before the traffic stop. “They wanted me to go to a lesser plea and go to DUI school,” the professor said. “Because of a Benadryl you took almost 24 hours earlier?” Keefe asked. Keefe spoke later with Garden City’s police chief, David Lyons. ► Make it easy to keep up-to-date with more stories like this. Download the 11Alive app now. Lyons once led Georgia’s Association of Chiefs of Police. He says the officer’s opinion is the only tool approved for detecting drugs pre-arrest. “If it’s alcohol, you can do an intoxilyzer immediately,” Keefe said. The officer did not have a crystal ball. He had no way of telling what the drug test would reveal weeks or months into the future. The GBI Crime Lab takes an average of seven weeks to test for drugs alone -- and nearly three months if testing for alcohol as well. In the meantime, the future for the accused is unclear, and their world is turned upside down. “You may not get a definitive answer for weeks or months?” Keefe asked Chief Lyons. “Exactly,“ the police chief responded. “Sir, would you mind stepping back here for me please?” the officer asked. So, the only drug detector available in the field is the police officer himself. “You could have gone to jail and lost your kids over the opinion of a police officer?” said Keefe. “That’s right,” the professor said. State records show the arresting officer completed advanced roadside impairment training – including drug detection – just 15 days before stopping the professor. “If you give someone a hammer, everything starts looking like a nail?” Keefe asked rhetorically. The professor was not convinced. Garden City Police said they stand by their arrest of the professor. They even point to a nearly undetectable amount of Ambien in the blood test – so small it couldn’t be measured by the GBI’s crime lab. “When they lose in court, nothing happens to them,” Keefe said. In the end, the professor did not lose the case, his job or his kids. But he did lose his trust in the system. “How many innocent people are you comfortable with being accused of arresting for something they did not do, in order to catch those impaired drivers and get them off the road?” Keefe asked Chief Lyons. “I don’t know that I’m comfortable with any, if I have any control over it,” Lyons said. “If they arrest ten people, and eight of them are positive, who cares about the two innocent people?” Keefe asked the professor. “That’s right – except the two innocent people,” the professor said. “Do you think this driver is owed an apology, or not?” Keefe asked Chief Lyons. “I don’t think he’s owed an apology,” Lyons said. “I would be more than willing to give him one." On Monday, September 25, the ACLU announced that they are filing a federal lawsuit against the Cobb County Police Department as a direct result of our Drug Whisperer investigation from earlier this year. 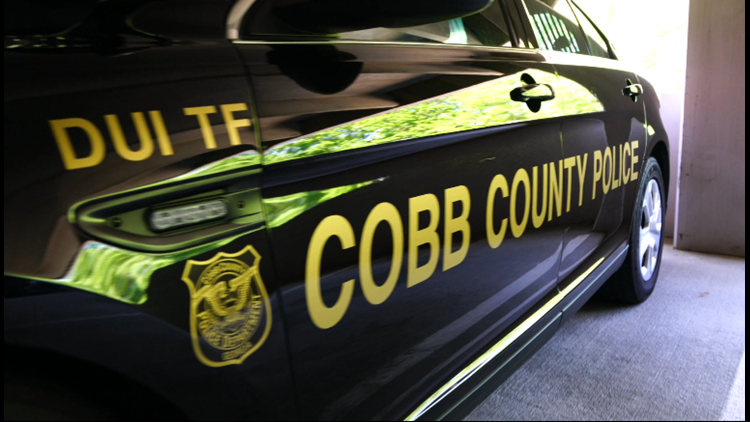 Our original investigation profiled three motorists who were falsely arrested based on traffic stops tied to the drug recognition training of Cobb County Police Officer Tracy Carroll. In each of the three cases, Carroll pulled each individual over and arrested them based on a 'hunch' that each was under the influence of marijuana. Each was then arrested and charged with DUI-Drugs. The three people involved -- Katelyn Ebner, Princess Mbamara, and Ayokunle Oriyomi -- were forced to have their blood drawn and held in a jail cell for hours, based on Carroll's "hunch." In each case, the drug tests indicated a negative presence of marijuana. All three of them spent months defending themselves legally. Eventually, all charges for each of the drivers were dropped. Carroll is a certified drug recognition expert, and in order to receive his certification, he had to successfully complete a 160-hour training course of study. The official Drug Recognition Expert Evaluation involves a dozen specific observations that allow officers not only to indicate that a driver is on drugs, but to specifically identify which of seven types of drugs are in a driver's system. However, the standard protocol requires all 12 steps to be completed before an officer can make that pronouncement. Officer Carroll did not complete the full 12 steps in any of the three cases profiled in our original Drug Whisperer investigation. Cobb County Police Chief Michael Register is not named in the ACLU lawsuit, but he is overseeing changes to his department's policies as a direct result of our investigation. All three drivers were jailed overnight, and are suing the department individually for wrongful arrest. Now, as a matter of policy, the Cobb County Police Department is releasing drivers suspected of marijuana impairment and delaying formal charges until blood test results are returned. "We certainly want to protect the citizens on the roadways of Cobb County by getting a suspected impaired driver off the roadway, but we don't want to make an unnecessary arrest on a citizen," Chief Register said. Despite this, the Cobb County Police maintains its assertion that their drug recognition experts' training is actually better at detecting marijuana in a driver than scientific crime lab tests. "They're kind of treating him like the human drug-sniffing dog; he's the 'drug whisperer,' 11Alive's Brendan Keefe said, speaking to one of the wrongly accused drivers, Katelyn Ebner about Officer Carroll. "He can see impairment in people that other officers can't see." "I think that they think that because he has so many arrests," Carroll said. "One day, I'm going to go and get a real job and people are going to be able to Google my name and see I was arrested for drugs that I didn't do." The ACLU's suit is seeking compensatory damages from Officer Carroll, the Cobb County Police Department and from Cobb County, along with any additional relief the Court may deem appropriate under the circumstances. Earlier this year, we uncovered and presented the story of Cobb County Police Officer Tracy Carroll – or as we referred to him, 'The Drug Whisperer.' Now, we have found even more cases related to Carroll's drug recognition work from the Cobb County Police Department, that the department originally would not let us see and denied even existed. In the original three cases we profiled, Carroll pulled over motorists and arrested them, insisting they were under the influence of marijuana. Katelyn Ebner, Princess Mbamara and Ayokunle Oriyomi each were arrested based on a 'hunch' by Officer Carroll that each was under the influence. In three separate cases that we profiled last spring, Officer Carroll pulled over motorists and insisted that they were under the influence of marijuana. Carroll, a certified drug recognition expert, did not believe the drivers when they told him they did not have drugs in their systems. In addition, searches indicated no drug paraphernalia in any of their vehicles. Each was subsequently drug tested and those tests indicated a negative presence of marijuana. Charges for the three ultimately were dropped -- months later, after each was forced to turn their personal lives upside down defending themselves. “As far as the individuals unjustly arrested, I believe at the time of the arrest, the officer felt that they were making a just arrest,” Cobb County Police Chief Michael Register told 11Alive Chief Investigator Brendan Keefe. The Cobb County Police Department has been aware of this problem for at least a decade. Lab tests for marijuana are notoriously unreliable for proving or disproving impairment. Studies show there is no amount of marijuana that affects every user the same way. Internal Affairs investigations show Cobb County Police consistently question negative lab results – not its drug recognition experts. Keefe asked Chief Register about the situation in July, before an ACLU lawsuit was filed on behalf of the drivers in our story. Publicly, the department announced a policy change after our investigation, no longer jailing suspected cannabis impaired drivers, but privately, Cobb County was in damage control mode. 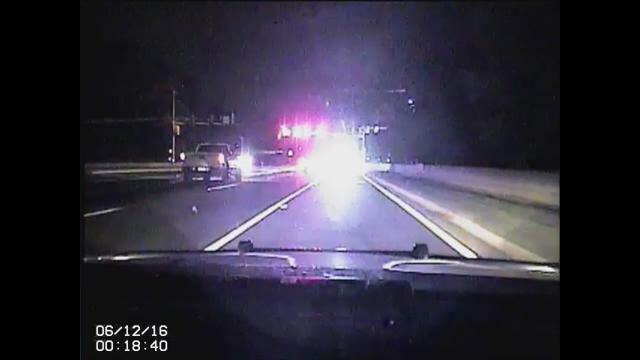 Internal Cobb County Police emails show the DUI Task Force was doubling down. “Yes, the DRE’s training does indeed allow them to often detect impairment that does not later show up in blood/urine toxicology tests,” DUI Task Force Commander Lt. Greg Abbott wrote to his chief. Right after our story first aired, and a full year after Katelyn Ebner’s arrest, Cobb County had the Georgia Bureau of Investigation’s Crime Lab check her blood a second time. The GBI was asked to use a more sensitive test for the components of THC. The GBI Crime Lab reported – again – negative results, across the board. Lieutenant Greg Abbott, head of Cobb County’s DUI Task Force, was praised by county officials for a five-page internal memo attacking the original 11Alive News ‘Drug Whisperer’ Investigation last May. But that statement appeared nowhere in the television story 11Alive aired. In the interview, Ebner said, "I've never done drugs," but afterward, clarified to The 11Alive Investigators she tried marijuana some years earlier. We chose not to include either statement because that fact was not relevant to the charge that she was high on the night of her arrest. Ebner did deny ever smoking marijuana when first stopped by Officer Carroll, telling him, “I can promise you, I have never -- please -- I have never smoked marijuana." That exact quote from the police video was included in the web story here on 11Alive.com in the context of the traffic stop, but it was not in the TV story. Lt. Abbott’s false claim was the primary example cited to support his argument that the 11Alive chief investigator had been “unethical and unfair” in his reporting. Elsewhere in the five-page document, Abbott cited Keefe’s “lack of research,” but told his bosses there were only 190 active Drug Recognition Experts statewide, when in fact the state of Georgia reported there were more than 250 active DREs in the state at that time. Abbott wrote that there were no other negative blood tests for arrests by this officer where the drivers denied consuming marijuana. When we asked for every DUI arrest report that Officer Carroll made in 2016, the Cobb County Police Department gave us 85 arrest reports. But Carroll made 90 DUI arrests during 2016, not 85. The Cobb County Police Department had no problem reporting that Carroll had made 90 arrests when they reported his record to Mothers Against Drunk Driving -- for which he received a Silver Medal last year. So, why, when we asked for every one of Carroll’s arrests during 2016, were five of those arrest reports missing? This narrative is from one of those cases that Cobb County did not tell us about – shown here for the first time. Brittany Penwell is a young mother, and a fourth arrest by Officer Tracy Carroll. Penwell’s blood test also came back negative. Her case was dismissed and automatically expunged. 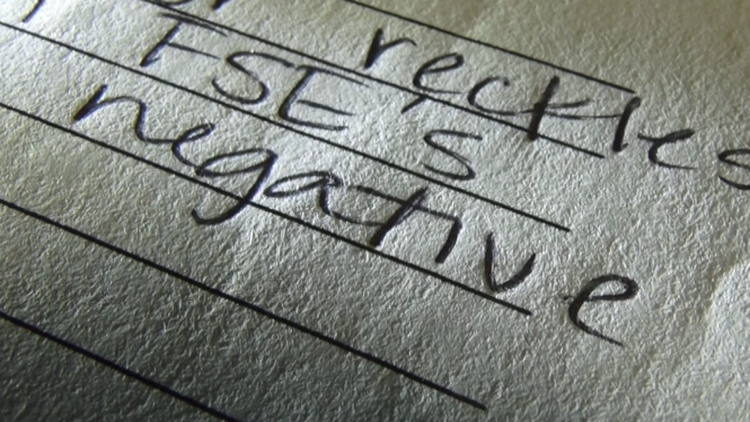 The Cobb County Police Department gave the 11Alive Investigators a Drug Recognition Log for Officer Carroll – with much of the toxicology blacked out. But we obtained an unredacted copy, which was shared internally among commanders. Hiding behind those redactions was Brittany Penwell’s negative drug test, and yet another negative tox report for a fifth marijuana arrest dismissed for “NO TRACES” of marijuana in the blood. Two more negative tests, hiding behind the Cobb County Police Department’s black marker. Yet, the DUI Task Force Commander told his superiors we picked the only three cases in which drivers denied using marijuana. Keefe forwarded the email on to Chief Register and offered the opportunity to correct anything that we may have gotten factually wrong, or to rectify anything that may have been perceived as "dishonest" in any way. Keefe also noted that we had an obligation to speak with Lt. Abbott on camera in his capacity as head of the DUI Task Force. Abbott declined our interview. Keefe asked Chief Register about the email during the interview. “I’ve always known him to be an honorable person and a good officer,” Register answered. A video of DUI Task Force Commander Lt. Greg Abbott during a traffic stop surfaced shortly after our interview with Cobb County Police Chief Mike Register. After the events depicted in the controversial video, Abbott retired after 28 years with the Cobb County Police Department in lieu of termination. As for the five missing cases, the Cobb County Police Department says software prevented a low-level department staffer from seeing them because they had been expunged. Three of the five cases with negative blood tests were among the files Cobb County did not originally acknowledge. Meanwhile, one of the cases we uncovered – Brittany Penwell – has joined the three other plaintiffs in the ACLU’s lawsuit against the Cobb County Police Department for wrongful arrest. The GBI is now considering cutting in half its threshold for further testing for the components of THC in half because of complaints from Cobb County Police. Right now, the GBI Crime Lab says only 6 percent of suspected marijuana cases statewide fall below the higher threshold. Innocent people are being arrested for driving on drugs. Our investigation shows this is not limited to one arrest or one officer – it’s a nationwide problem. “What’s really troubling about these warrantless arrests is we have police officers who are going around on our streets, arresting innocent people and throwing them into jail based on a training that is completely unreliable and is based on junk science,” said ACLU attorney Sean Young. Young and the ACLU of Georgia are suing the Cobb County Police Department on behalf of the four drivers we discovered in our original investigation – drivers who gave their blood to prove their innocence – after they were arrested by one of the department’s drug recognition experts. Are we talking about bad police officers, or are we talking about bad police training? That methodology has been validated by multiple studies, but most were funded by the same federal agency pushing the drug recognition expert program. Other independent studies have concluded a DRE’s opinion of drug impairment is not much better than flipping a coin. In order to graduate, drug recognition experts are tested using 12 real-world intoxicated subjects in jails or rehab facilities – but the officers know in advance the suspects are on something. They are not required to evaluate a sober person as part of that test group to see if they detect impairment that is not there. They hit the streets having seen drugs in every suspect they have evaluated. There are documented, visible indicators not present in most drivers who test positive for marijuana. Red eyes, pupils not dilating or recovering normally, raised taste buds, a coating on the tongue. But any of those symptoms can be caused by something else. The officers believe they are seeing impairment because they are taught to see it. They learn from other officers and from former officers who have been certified as DRE instructors. 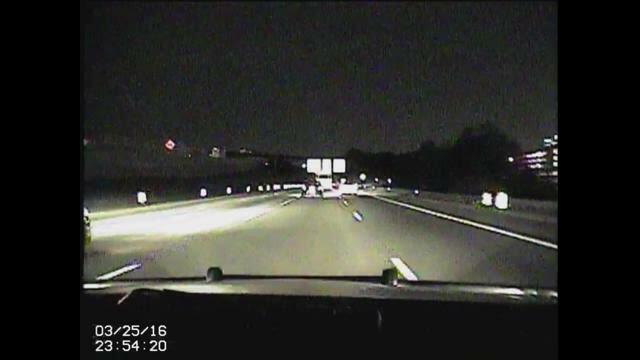 In video footage of the original infractions that resulted in the traffic stops that landed all four of the drivers in our investigations in jail – a touch of a lane marker; one straddled the line while deciding between two exits. “You stopped me because I was swerving, right?” asked Princess Mbamara during her traffic stop. All four of them allowed police to search them and their cars – some even begged the arresting officer for a drug test on the spot along with a search. “Well, you’re showing me numerous indicators,” Officer Carroll said to Katelyn Ebner during her traffic stop. “I understand that, but I can one-thousand percent guarantee you that I don’t do that stuff,” Ebner said. No drugs or drug paraphernalia were found on any of them. The officer’s opinion alone was enough to justify a DUI-Drug arrest – even though in three out of the four cases we profiled, the Drug Recognition Officer did not do the full DRE Evaluation. All of the certification studies were done on doing this full protocol – this full evaluation, but the officers don’t need that under the law to make an arrest. They need probable cause – which is a much lower standard than 12 steps. It turns out Drug Recognition Experts get it right in the vast majority of full 12-step DRE evaluations. In the last three years, Georgia DREs completed toxicology tests on 507 drivers suspected of marijuana impairment. Of those, 430 came back positive for THC. That means 77 drivers tested negative, but the highest-trained DUI officers in the state got it right 85 percent of the time. Georgia has more drug recognition experts than ever. Why, then, has the total number of 12-step DRE evaluations gone down? Officers have learned the DRE training allows them to see all they need to justify an arrest without completing the full post-arrest evaluation to confirm it. No one is tracking those cases for accuracy. The arrests of Katelyn Ebner, Kunle Oriyomi and Princess Mbamara – and their negative tox screens – are not in any federal database, because DREs are required to report only full-evaluation opinions. Drug recognition experts are trained to see possible indicators as definitive ones, while ignoring negative lab tests that may lower their confidence on the street. When someone tells you you’re an expert, and puts you through this training, do you blame the officers for thinking they have these powers? Courts in some states, such as Florida and California do not allow prosecutors to use the word “expert” when referring to certified DREs. They’re called “Drug Recognition Evaluators” or “Examiners.” Dozens of new DREs just hit the streets in Georgia – funded by special grants from the Governor’s Office of Highway Safety. Until very recently, federal grants were tied to the number of arrest – not convictions – which created an incentive for police departments to drive up those numbers. That has been changed. But when we looked at police personnel files, we noticed merit raises for DUI task force officers were often tied to the number of arrests they make – regardless of whether the drivers turned out to be guilty or innocent. Is this an isolated incident? Has something like this happened to you? We are looking for additional stories of people who have encountered these types of incidents at traffic stops in Georgia and elsewhere. Please contact us at bkeefe@11Alive.com.